Used to be sportbikes made you choose between some arbitrary displacement classes. First there was 500s and 750s. Then it was 600s and 1000s. That was all fine if you wanted to go racing, but what if you were just after a stellar sportbike for the street? Seems like everyone forgot about you. Not Honda. The CBR650F is built for streetbike riders who want a sport machine that makes sense seven days a week. That extra 50cc compared to the 600s? Sure, it lets us fatten up the CBR650F’s powerband. But there’s a lot more to this bike than more engine displacement. With it’s open rider triangle (where your seat, hands, and feet contact the bike), the CBR650F is comfortable in traffic or for longer rides. Its inline-four engine is specifically tuned for low-to-midrange torque, delivering a powerband that’s suited for a wide range of riding styles. Plus we’ve made some significant updates this year. 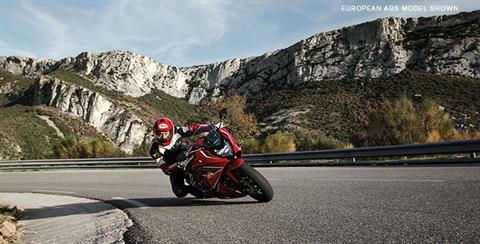 Now you get a bike that looks sharper, handles better, and makes even more power. 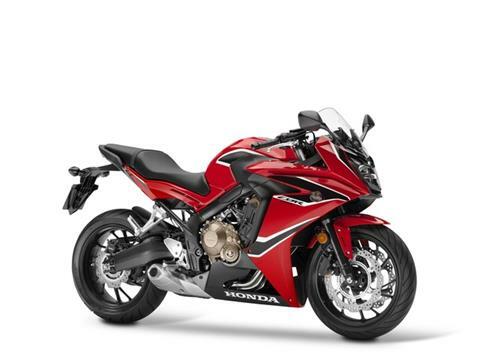 A fun ride at a great price, weekday commuter, weekend sport riding, long trips, short hauls, solo or with a passenger—the 2018 Honda CBR650F does it all. 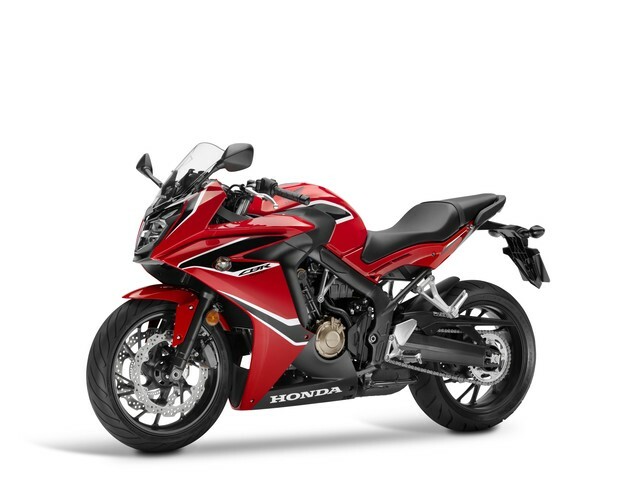 CLIP-ON HANDLEBARS: Clip-on bars are an integral part of supersport bikes, and for the CBR650F they put you in a riding position that’s both sporty and comfortable enough for longer trips. LCD MULTI-METER: In addition to the speedometer and digital tachometer, the CBR650F’s instrumentation also includes clock, trip meter and fuel gauge. 4.6-GALLON FUEL TANK: You asked; we listened. 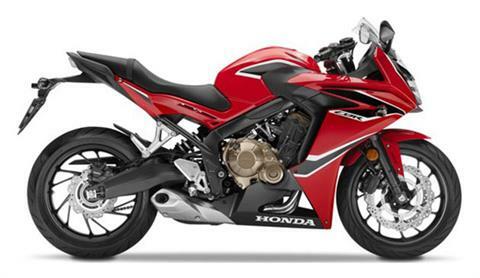 A bike as versatile as the CBR650F needs plenty of range, and the 4.6-gallon fuel tank provides just that. TWIN-SPAR STEEL FRAME: A steel frame is strong, but not too rigid for the needs of the everyday rider. 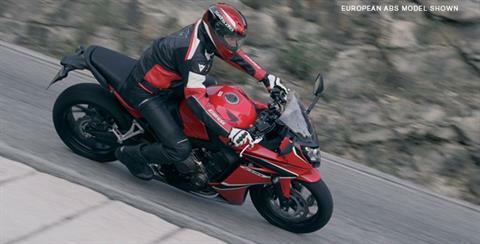 With a 57.1-inch wheelbase, the CBR650F is also quick and responsive—just what a machine in this class should be. 649 CC DOHC ENGINE: Engines like this are what Honda does best. The four-cylinder design makes it smoother and faster revving than most twins, and offers ample low to midrange torque. Plus, for 2018, we’ve re-tuned it for even more power. SIX-SPEED TRANSMISSION: Smooth, nearly seamless shifts and revised gear ratios to match the way you want to ride: those are two of the characteristics that make this Honda so much fun to ride. NEW SUPERSPORT-STYLE FAIRING: The CBR650F may be a terrific value, but it still offers plenty of style. Check out its CBR600RR-inspired fairing—just enough bodywork to cut the wind blast and give it a cool look. 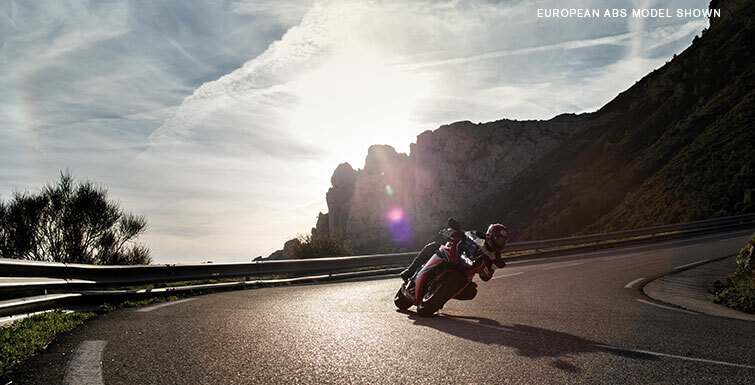 IMPROVED 41 MM FRONT SUSPENSION: Upgraded for 2018, the CBR650F’s front suspension showcases some leading-edge technology. The 41mm fork is equipped with Showa’s new Dual Bending Valve (SDBV) internals. They make the fork lighter, provide excellent suspension action, and give you cartridge-fork performance without the cartridge-fork price. DUAL-DISC FRONT BRAKES/OPTIONAL ABS: No scrimping here: Dual 320mm front discs offer excellent stopping power under a wide range of operations. In addition, Honda’s ABS system is available for more confident stopping in challenging conditions. FOUR-INTO-ONE EXHAUST: Power, style and an unmistakable growl—you get all three with the four-into-one exhaust system on the CBR650F. REAR-DISC BRAKE: A 240mm hydraulic disc at the rear complements the twin front discs for plenty of stopping power. 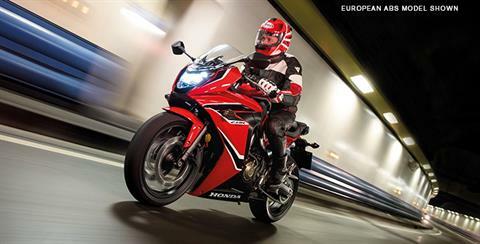 One Year - Transferable, unlimited-mileage limited warranty; extended coverage available with a Honda Protection Plan.